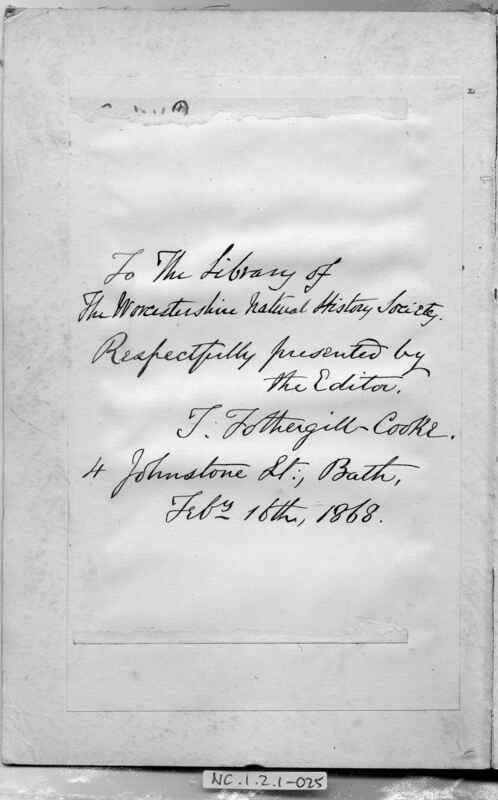 Full Description: A first edition, signed and dedicated by the author, of The Rev. 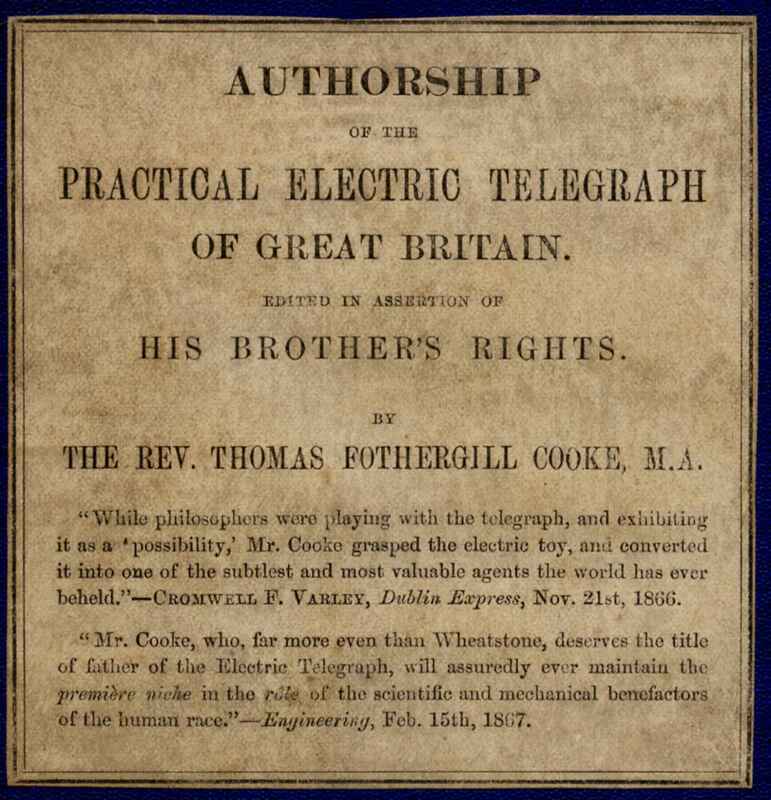 Thomas Fothergill Cooke’s “Authorship of the Electric Telegraph of Great Britain or, The Brunel Award Vindicated; edited in assertion of His Brother’s Rights by The Rev. 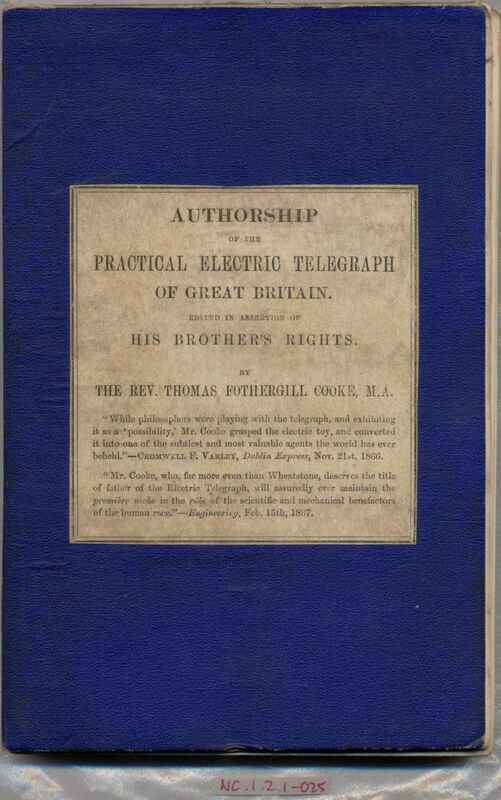 Thomas Fothergill Cooke M.A. 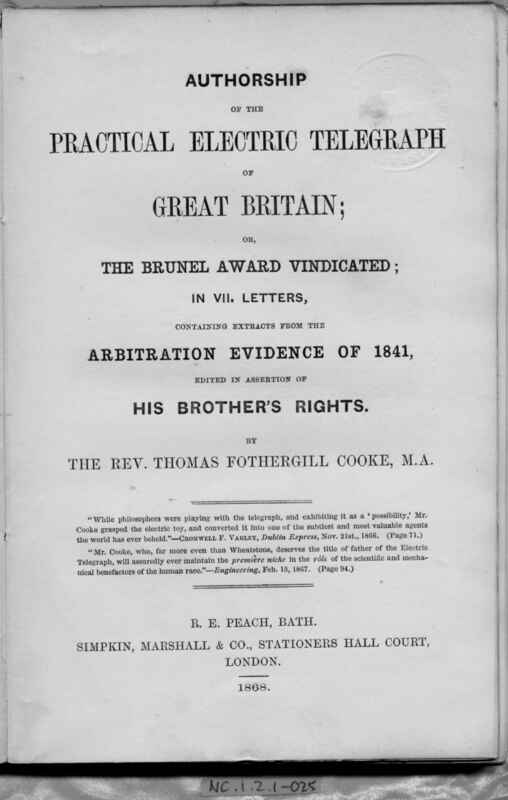 ” A fine copy, liberally illustrated with engravings of all the key instruments related to the evolution of the telegraph, and fastidiously recording all aspects of the Cooke – Wheatstone dispute and its arbitration by Sir Marc Isambard Brunel (Isambard’s father) and Professor J F Daniell. 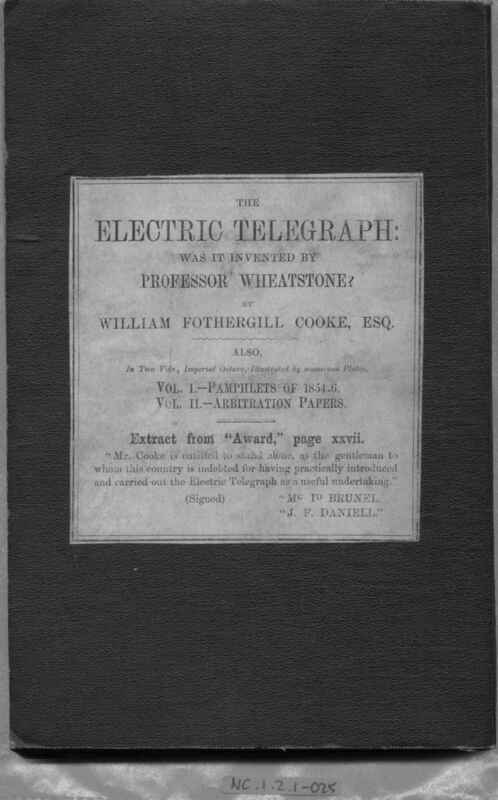 The Collection also has a first edition of William Fothergill Cooke’s earlier pamphlet on his contention surrounding the telegraph’s invention – see Item NC.1.2.1-001 .